Worthy Figures offers personal styling and clothes in sizes L/12 and up. The clothes are hand selected to offer affordable prices and a variety of styles. You can shop locally in person at The Shop with a scheduled appointment or catch us at pop up vendor events around Charlotte. If you want help finding styles just for you, I also provide personal shopping and styling services. 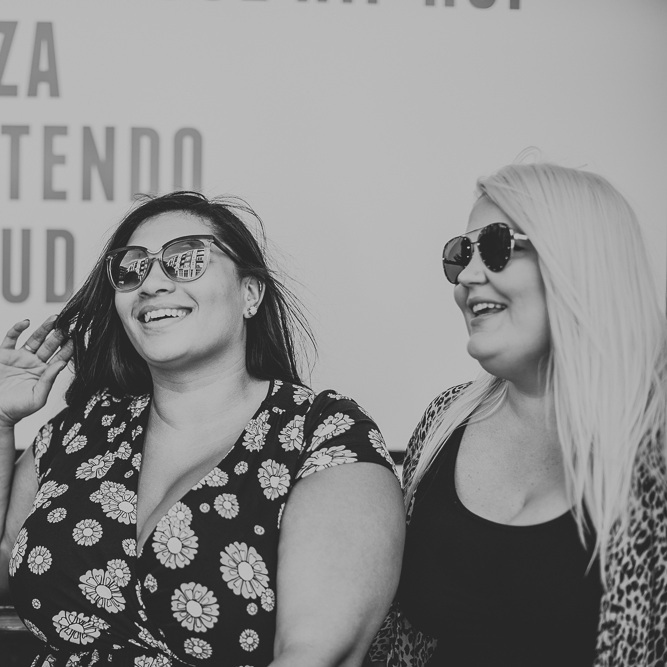 More than just clothing, Worthy Figures is about building your confidence and creating a community of women through events and connecting with one another. The most amazing part about Worthy Figures is the opportunity to try clothes on in person. You will leave only with clothes you know fit, and no worries about returns or disappointment once you get home. I’ve already taken the frustration out of the shopping equation by finding fashionable, affordable items in your size! There's just a couple steps to setting up your appointment, then you're on your way to happy shopping! Check out the Services page for more or the Schedule Appointment page. Feeling lost when it comes to shopping? Let me help you find exactly the right items for your body, budget and lifestyle. I'll select stores that fit your needs and personally assist you with finding clothes. We can go together, or you can task me with finding items on my own. This will be an encouraging and fun experience for both! There is no one else like you, so why should you dress like anyone but yourself? I will help you find your personal style and have you feeling confident and beautiful. Items are selected that fit your style profile, and I will continue building a portfolio for you. For more, see the Services page. Why pop up events and appointments? When it comes to shopping for larger sizes, there are less and less options to shop in person to try on clothes. Most shopping has to be done online. Fit is important, and it can be frustrating to try and find the perfect fit through trial-and-error online shopping. Because some prefer to shop online for convenient and to reach a larger audience, I recently started offering online shopping. But, Worthy Figures is here to give women more options to try on to make sure you feel great about your purchase before going home! I’m still offering shop appointments and will continue doing lots of pop up markets! For more about what drives Worthy Figures, check out the blog. Women need each other, and we need to encourage one another. Worthy Figures is here to connect you with other women like you for support, encouragement and empowerment. Worthy Figures is a part of the Charlotte community. In the future, I hope to plan and host our own community events. Check out our events page for more information on all upcoming opportunities! Amy started Worthy Figures to give women the shopping options they deserve. She firmly believes your shopping experience shouldn't be limited by your size. Women wearing certain sizes have been made to feel like fashion isn't for them. I'm here to say, it is, and it's time you had stylish and affordable options! Worthy Figures isn't just about shopping. It's about making women feel confident and happy. Hear from some of our customers.